Who has access to your personal data and what your rights are. My policy is to keep the personal information I receive from this website completely confidential and used solely for internal purposes. I will not share your personal information with any other parties. Please review this policy carefully. This policy is effective from 4 May 2018. This website is run by myself, Kelly Hainsworth. 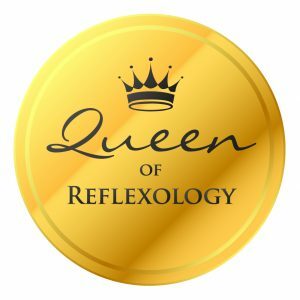 I run a reflexology clinic, provide business support services to practitioners, and host the Love Reflexology Directory. I can be contacted on 07910 120 929 or kelly@kellyhainsworth.com regarding any questions with this policy. I am the controller of the personal data you provide. Data collected when an order is placed via the shop page. If you are purchasing a gift voucher, I will collect information about the gift recipient, so I can fulfil the gift voucher purchase. The information collected will not be used for marketing purposes, nor shared with any other party. When a treatment is booked, all reflexology and maternity reflexology clients will be required to read and sign a Privacy Notice under the GDPR guidelines. This will be handed to you during the appointment. Basic contact details:After your initial enquiry and agreement to join the directory, I will collect your name, email address, postal address and telephone number, so that I can contact you about your business listing on the directory. Business details: To join the directory, I will require you to provide the name of the business you represent, and details of the goods and/or services your business offers so that I can publish your business listing on the directory. I will also require your social media account handles, so I tag you into relevant posts within the Love Reflexology Facebook group or Love Reflexology Twitter account. You may also choose to provide other information about you and your business. I do not require you to do this. If you do, I will process this other information for the purposes of publishing your business listing on the directory. All information about you and your business will be stored securely. 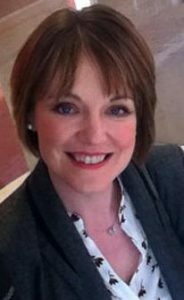 Enquiries: If you email kelly@kellyhainsworth.com with an enquiry about joining the Love Reflexology Directory and choose not to go ahead, your details will be deleted securely. Enquiries: If you email kelly@kellyhainsworth.com with an enquiry about my Social Media Management or Business Mentor services and choose not to go ahead, your details will be deleted securely. Agreement: If you choose to go ahead, you will sign a separate policy on our work together. To contact you about a contract renewal for paid-for services including Love Reflexology Directory listings and Social Media Management services. I will use the telephone number or email address you have provided to me, so I can contact you to discuss the renewal of the contract between us for any paid-for services I provide. I will do this in the lead-up to the expiry of your contract and, if I don’t hear back from you to confirm whether you would like to renew your contract with me, your listing will be removed after the renewal date has passed. Your personal information is contained behind secured networks. When you place orders for a gift voucher, I use third-party website PayPal to process the transactions securely. I use a third-party service, WordPress to publish my website. I use a standard WordPress service to collect anonymous information about users’ activity on the website. For example, the number of users viewing pages on the website, to monitor and report on the effectiveness of the website and help us improve it. WordPress requires visitors that want to post a comment to enter a name and email address. Registered members need a cookie to be able to log in. This is ‘strictly necessary’ as WordPress won’t work without it. I do not use these types of cookies for visitors of my website. Visitors who leave a comment on a blog post will have a cookie set on their computer. This is not “strictly necessary” as it’s a visitor’s preference.If you choose to leave a comment on one of my blog posts, this requires a cookie to be placed on your device. I also use third-party cookies. These are installed by third parties (including Google Analytics) with the aim of collecting information to carry out research into the behaviour and demographics of visitors to my website. I do not gather personal information which could be used to identify visitors or their personal data. These linked websites have separate and independent privacy policies. I therefore have no responsibility or liability for the content and activities of these linked websites and would always recommend you read the linked websites’ privacy policies. Nonetheless, I seek to protect the integrity of my website, and welcome feedback about these linked websites (including if a specific link does not work). If you have submitted a comment to be published on a blog post and you would like to remove it, please email kelly@kellyhainsworth.com stating the comment you would like to remove and the blog post title. This comment will then be removed for you within 14 days of your request. If you have submitted a testimonial to be published on this website and would like to remove it, please email kelly@kellyhainsworth.com with details and this will be removed from the website within 14 days of your request. If you email kelly@kellyhainsworth.com to enquire about booking a reflexology appointment, joining the Love Reflexology Directory, Social Media Management or Business Mentoring Support and we do not work together, your details will be securely destroyed. If you believe that any information I hold about you or your company is incorrect or incomplete, please email me at kelly@kellyhainsworth.com. I will promptly correct any information found to be incorrect. This policy is the second version, and was updated on 24th May 2018. I welcome your questions, comments, and concerns about privacy. Please send these to kelly@kellyhainsworth.com.